The formation of sesquiterpenoid presilphiperfolane and cameroonane metabolites in the Bcbot4 null mutant of Botrytis cinerea. Gabriel Franco dos Santos, Javier Moraga, Jacqueline A. Takahashi, Muriel Viaud, James R. Hanson, Rosario Hernández Galán and Isidro G. Collado. Organic and Biomolecular Chemistry, (2017), 15, 5357–5363. Chemically Induced Cryptic Sesquiterpenoids and Expression of Sesquiterpene Cyclases in Botrytis cinerea Revealed New Sporogenic (+)-4-Epieremophil-9-en-11-ols. Cristina Pinedo, Javier Moraga, Javier Barua, Victoria E. González-Rodríguez, Josefina Aleu, Rosa Durán-Patrón, Antonio J. Macías-Sánchez, James R. Hanson, Muriel Viaud, Rosario Hernández-Galán, Carlos Garrido, and Isidro G. Collado. ACS Chemical Biology (2016), 11, 1391-1400. The botrydial biosynthetic gene cluster of Botrytis cinerea displays a bipartite genomic structure and is positively regulated by the putative Zn(II)2Cys6 transcription factor BcBot6. Porquier, Antoine; Morgant, Guillaume; Moraga, Javier; Dalmais, Berengere; Luyten, Isabelle; Simon, Adeline; Pradier, Jean-Marc; Amselem, Joelle; Collado, Isidro Gonzalez; Viaud, Muriel.Fungal Genetics and Biology (2016), 96, 33-46. Botrydial and botcinins produced by Botrytis cinerea regulate the expression of Trichoderma arundinaceum genes involved in trichothecene biosynthesis. Mónica G. Malmierca , Inmaculada Izquierdo-Bueno, Susan P. McCormick, Rosa E. Cardoza, Nancy J. Alexander, Javier Moraga, Eriston V. Gomes, Robert H. Proctor, Isidro G. Collado, Enrique Monte and Santiago Gutiérrez. Molecular Plant Pathology (2016) 17(7) , 1017–1031. Efficient O-acylation of alcohols and phenol using Cp2TiCl as a reaction promoter. M. J. Durán-Peña, J. M. Botubol-Ares, J. R. Hanson, R. Hernández-Galán and I. G. Collado. European Journal of Organic Chemistry, (2016) 3584-3591. Chemoselective and stereoselective lithium carbenoid mediated cyclopropanation of acyclic allylic alcohols. 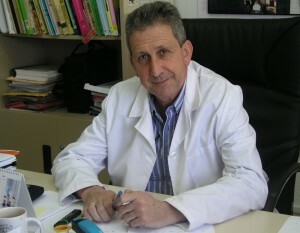 M. J. Durán-Peña, M. E. Flores-Giubi, J. M. Botubol-Ares, L. M. Harwood, I. G. Collado, A.J. Macías-Sánchez and R. Hernández-Galán. Organic and Biomolecular Chemistry, (2016), 14, 2731-2741. The synthesis of 3-hydroxy-2,4,8-trimethyldec-8-enolides and an approach to 3,4-dihydroxy-2,4,6,8-tetramethyldec-8-enolide. Botubol-Ares, Jose Manuel; Duran-Pena, Maria Jesus; Macias-Sanchez, Antonio J.; Hanson, James R.; Collado, Isidro G.; Hernandez-Galan, Rosario. Organic & Biomolecular Chemistry (2015), 13(2), 465-476. Unexpected mild protection of alcohols as 2-O-THF and 2-O-THP ethers catalysed by Cp2TiCl reveal an intriguing role of the solvent in the single electron transfer reaction. M. J. Durán-Peña, J. M. Botubol-Ares, J. R. Hanson, R. Hernández-Galán and I. G. Collado. European Journal of Organic Chemistry (2015) 6333-634. Titanium carbenoid-mediated cyclopropanation of allylic alcohols: selectivity and mechanism. M. J. Durán-Peña, J. M. Botubol-Ares, J. R. Hanson, R. Hernández-Galán and I. G. Collado. Organic and Biomolecular Chemistry (2015) 13, 6325-6332. Biological activity of natural sesquiterpenoids containing a gem-dimethylcyclopropane unit. Duran-Pena, Maria Jesus; Botubol Ares, Jose Manuel; Hanson, James R.; Collado, Isidro G.; Hernandez-Galan, Rosario. Natural Product Reports (2015), 32, 1236-1248. The Asymmetric Total Synthesis of Cinbotolide: A Revision of the Original Structure. Botubol-Ares, Jose Manuel; Duran-Pena, Maria Jesus; Macias-Sanchez, Antonio J.; Hanson, James R.; Collado, Isidro G.; Hernandez-Galan, Rosario. Journal of Organic Chemistry (2014), 79(23), 11349-11358. Biologically active diterpenes containing a gem-dimethylcyclopropane subunit: an intriguing source of PKC modulators. Duran-Pena, Maria Jesus; Botubol Ares, Jose Manuel; Collado, Isidro G.; Hernandez-Galan, Rosario., Natural Product Reports (2014), 31(7), 940-952. Exploring mutasynthesis to increase structural diversity in the synthesis of highly oxygenated polyketide lactones. Botubol-Ares, J. M.; Duran-Pena, M. J.; Macias-Sanchez, A. J.; Hanson, J. R.; Collado, I. G.; Hernandez-Galan, R., Organic & Biomolecular Chemistry (2014), 12(28), 5304-5310. Chemical genetics strategies for identification of molecular targets. Jose Manuel Botubol Ares, Durán Peña, Mº Jesus, Hernández Galán, Rosario; Collado, Isidro G., Phytochemistry Reviews, (2013) 12, 895-914. Natural variation in the VELVET gene bcvel1 affects virulence and light-dependent differentiation in Botrytis cinerea. Schumacher, Julia; Pradier, Jean-Marc; Simon, Adeline; Traeger, Stefanie; Moraga, Javier; Collado, Isidro Gonzalez; Viaud, Muriel; Tudzynski, Bettina. PLoS One (2012), 7(10), e47840. BcAtf1- A global regulator controls various differentiation processes and phytotoxin production in Botrytis cinerea. Temme Nora; Oeser Birgitt; Massaroli Michelli; Heller Jens; Simon Adeline; Collado Isidro Gonzalez; Viaud Muriel; Tudzynski Paul; Molecular Plant Pathology 2012, 13(7), 704-18. The mitogen-activated protein kinase BcSak1 of Botrytis cinerea is required for pathogenic development and has broad regulatory functions beyond stress response. Heller, Jens; Ruhnke, Nadja; Espino, Jose Juan; Massaroli, Michelli; Collado, Isidro Gonzalez; Tudzynski, Paul. Molecular Plant-Microbe Interactions 2012, 25(6), 802-816. Biotransformation of clovane derivatives. Whole cell fungi mediated domino synthesis of rumphellclovane A. Gontijo de Souza, Giovanni; Oliveira, Thays Silva; Takahashi, Jacqueline Aparecida; Collado, Isidro Gonzalez; Macias-Sanchez, Antonio Jose; Hernandez-Galan, Rosario., Organic & Biomolecular Chemistry 2012, 10(16), 3315-3320. Overexpression of the trichodiene synthase gene Tbtri5 increases trichodermin production and antimicrobial activity in Trichoderma brevicompactum. A. Tijerino, R.E. Cardoza, J. Moraga, M.G. Malmierca, F. Vicente, J. Aleu, I.G. Collado, S. Gutiérrez, E. Monte y R. Hermosa. Fungal Genetics and Biology 2011, 48, 285-296. Asymmetric synthesis of 1-(4’-chlorophenyl) alcohol derivatives. Study of the detoxification mechanism of 1-(4’-chlorophenyl)-1-cyclopropyl methanol by Botrytis cinerea. C. Pinedo-RiBcAtf1- A global regulator controls various differentiation processes and phytotoxin production in Botrytis cinerea. Temme Nora; Oeser Birgitt; Massaroli Michelli; Heller Jens; Simon Adeline; Collado Isidro Gonzalez; Viaud Muriel; Tudzynski Paul; Molecular Plant Pathology 2012, 13(7), 704-18. The Botrytis cinerea phytotoxin botcinic acid requires two polyketide synthases for production and has a redundant role in virulence with botrydial. Bérengère Dalmais, Julia Schumacher, Javier Moraga, Pascal le Pecheur, Bettina Tdzynski Isidro Gonzalez Collado, and Muriel Viaud. Molecular Plant Pathology 2011, 12(6), 564-579. Biotransformation of bioactive isocaryolanes by Botrytis cinerea. ; Ascari, Jociani; Boaventura, Maria Amelia Diamantino; Takahashi, Jacqueline Aparecida; Duran-Patron, Rosa; Hernandez-Galan, Rosario; Macias-Sanchez, Antonio J.; Collado, Isidro G. Journal of Natural Products 2011, 74(8), 1707-1712. Biotransformation of clovane derivatives. Whole cell fungi mediated domino synthesis of rumphellclovane A. Gontijo de Souza, Giovanni; Oliveira, Thays Silva; Takahashi, Jacqueline Aparecida; Collado, Isidro Gonzalez; Macias-Sanchez, Antonio Jose; Hernandez-Galan, Rosario. Organic & Biomolecular Chemistry 2012, 10(16), 3315-3320.